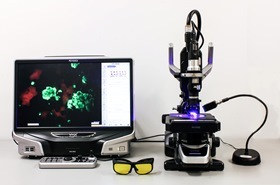 The NIGHTSEA™ Model SFA Fluorescence Adapter system adds a versatile fluorescence imaging capability to the Keyence VHX series of digital microscopes. The system is being used successfully by a growing number of Keyence owners for a variety of applications. 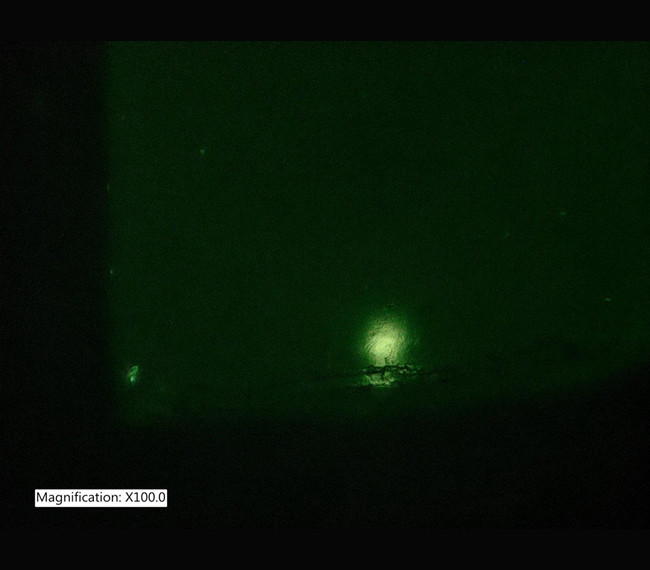 Visit our gallery of images made with the NIGHTSEA adapter and the Keyence microscope. 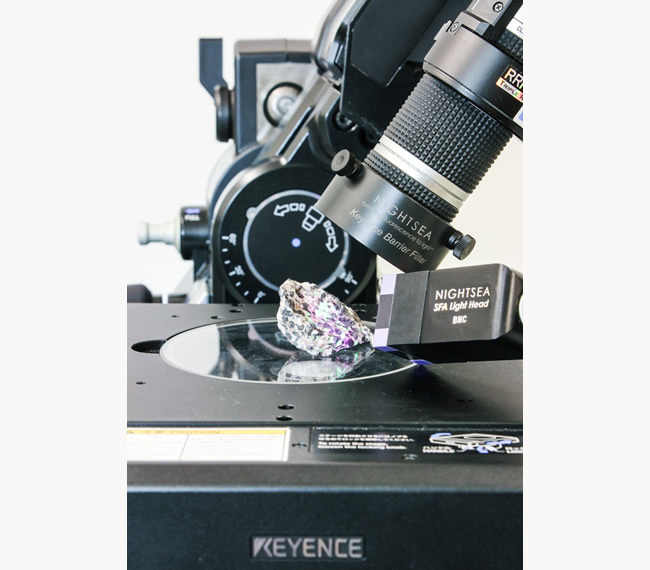 Keyence offers a variety of lenses for imaging at different scales. 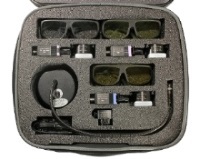 NIGHTSEA offers several variants of our fluorescence adapter system that work with the most commonly used Keyence lenses – the ZST, Z100, Z50, Z20, and Z00. 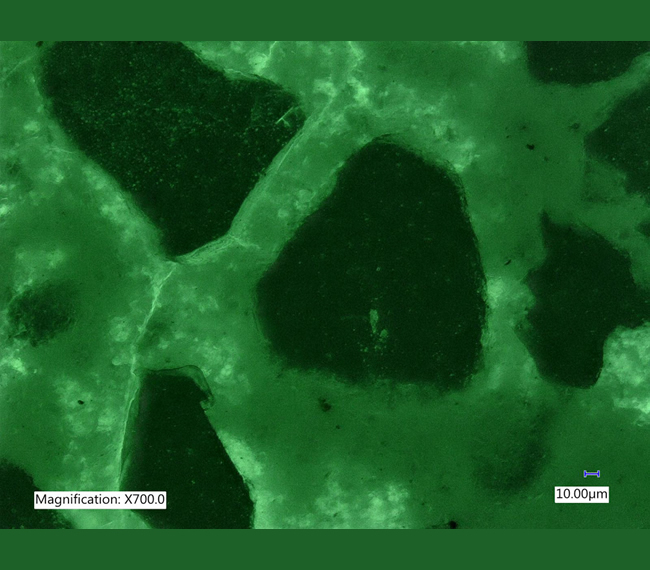 A prospective customer wanted to image concrete thin sections impregnated with fluorescent dye. The dye supplier recommended UV, and it is true that UV will make the dye fluoresce nicely. 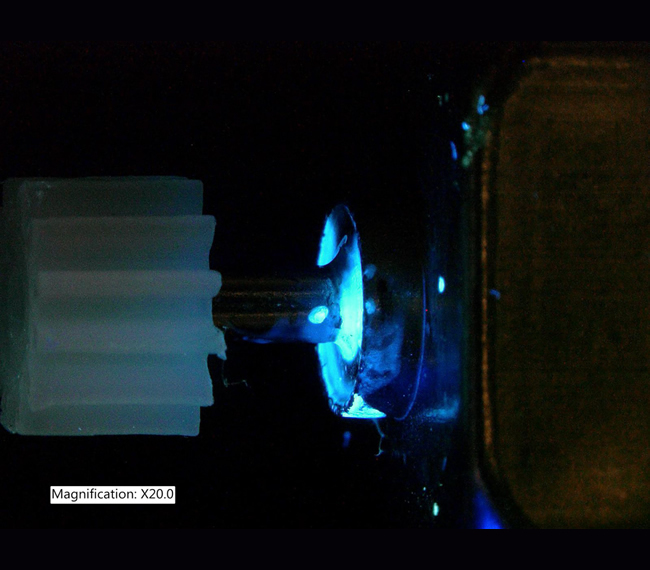 We found that our Royal Blue excitation produced significantly brighter fluorescence. 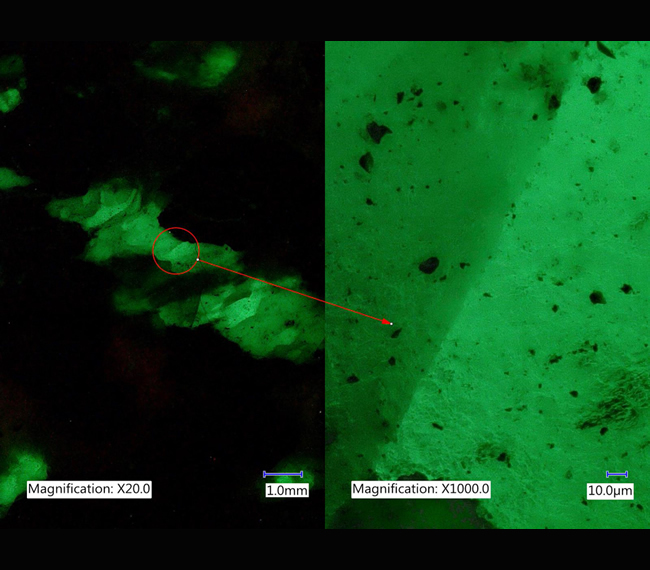 Similar to above, except that a fluorescence epoxy had been used to highlight surface cracks in a test sample. 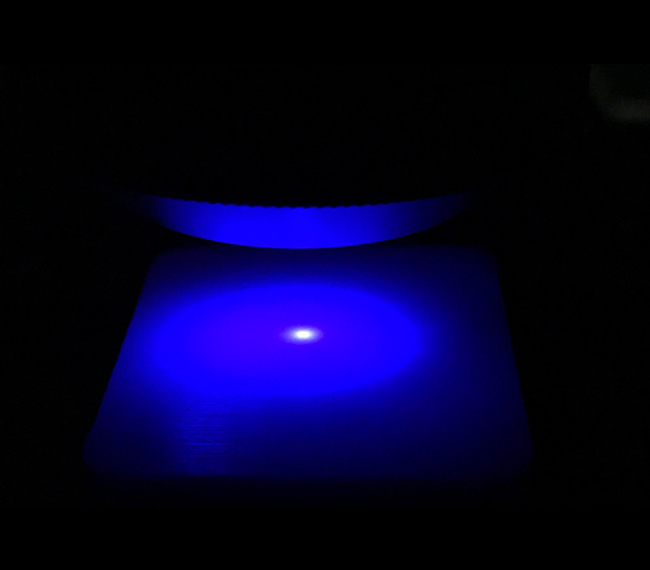 Royal Blue excitation yielded brighter fluorescence. A prospective customer sent us a sample of material that was known to fluoresce under UV. 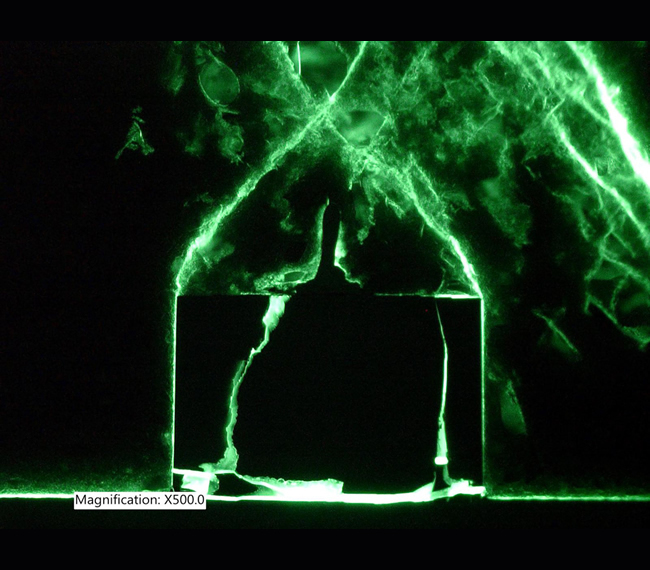 The goal was to see the distribution of non-fluorescent particles in a fluorescent matrix. 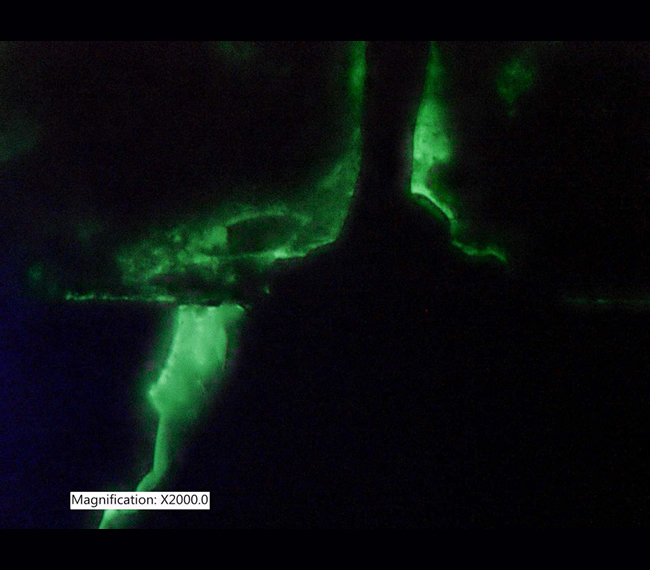 While both UV and Royal Blue excited fluorescence in the sample, the best imaging contrast was achieved with Violet excitation. We achieve enhanced performance with the ZST lens by mounting the light head on the lens's fiber optic port, but that path does not transmit UV well. In many cases, for example to inspect conformal coating, Violet is an excellent alternative to UV. Acquiring the three-color system will provide the highest chance of success and will equip you with a versatile toolkit to address new fluorescence imaging challenges as they arise. Contact us if you would like to discuss your application further. 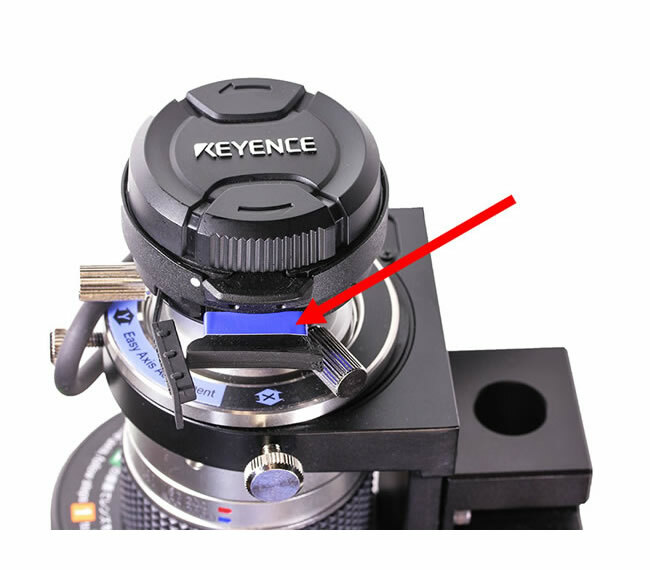 The microscopes in the Keyence VHX series were not designed for fluorescence. That said, the NIGHTSEA adapter system adds a fluorescence capability that is proving to be valuable for a growing number of users. 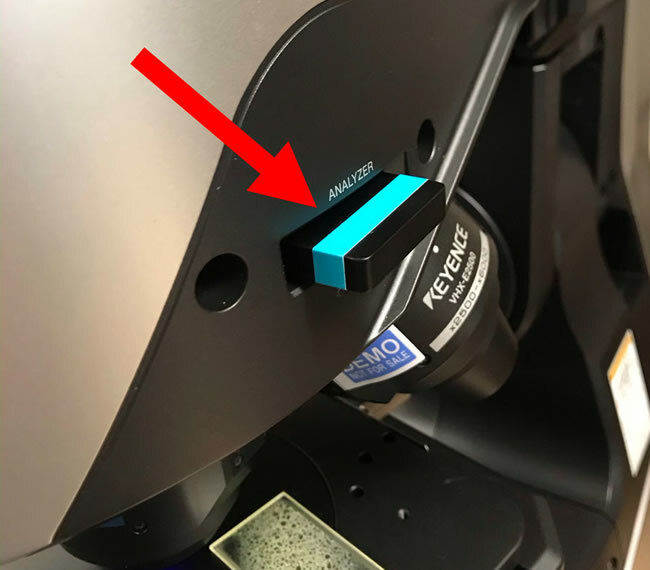 Several companies have purchased multiple adapters so that they could replicate the performance across multiple microscopes. In at least one case the customer only purchased their Keyence system because of the added NIGHTSEA fluorescence capability that enabled a critical analysis function for them. There are five excitation/emission wavelength combinations available for the system. 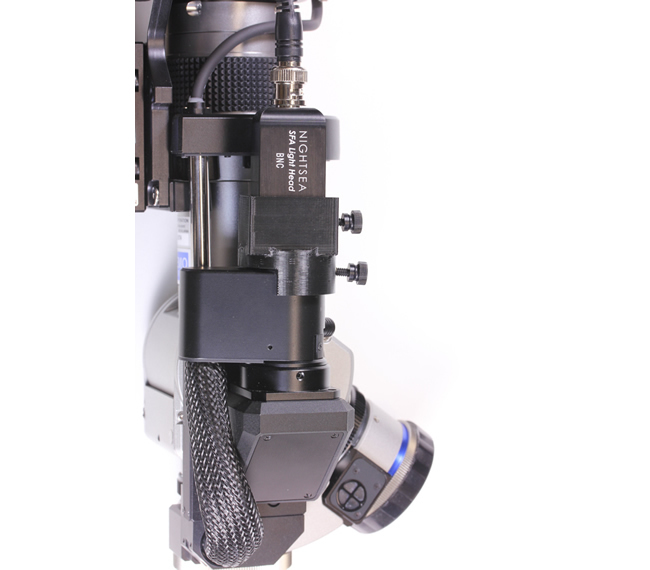 With the ZST lens and the higher magnification (200-2000x) objective you can achieve enhanced performance by removing the Keyence fiber optic illuminator and positioning the NIGHTSEA excitation light head in its place with our custom adapter. This brings the excitation energy through the lens, creating a much more concentrated illumination spot than can be achieved with the light source positioned to the side. 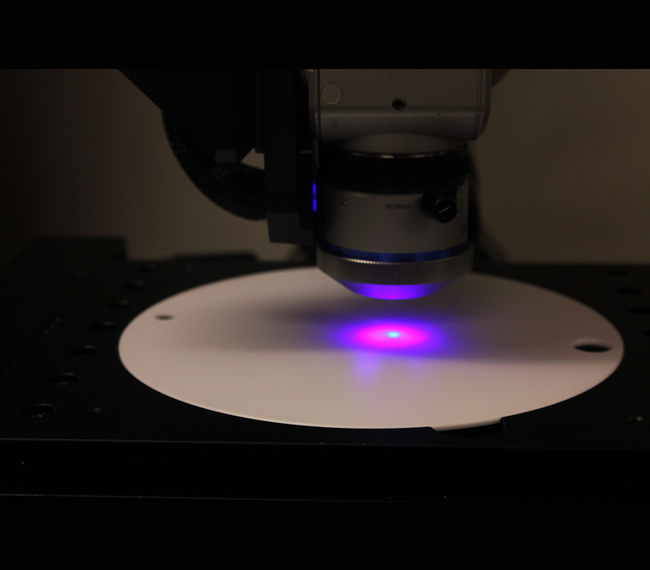 We have made fluorescence images at up to 2000x with this configuration. Please contact us if you would like to order different configurations, i.e. a full set-up for just one or more wavelength, other than the IND package add-on wavelength sets of any of the 5 available color sets.